A DIGITAL CAMERA (or digicam) is a camera that takes video or still photographs by recording images on an electronic image sensor. Most cameras sold today are digital, and digital cameras are incorporated into many devices ranging from PDAs and mobile phones (called camera phones) to vehicles. Digital and film cameras share an optical system, typically using a lens with a variable diaphragm to focus light onto an image pickup device. The diaphragm and shutter admit the correct amount of light to the imager, just as with film but the image pickup device is electronic rather than chemical. However, unlike film cameras, digital cameras can display images on a screen immediately after being recorded, and store and delete images from memory. Many digital cameras can also record moving video with sound. Some digital cameras can crop and stitch pictures and perform other elementary image editing. DIGITAL SINGLE-LENS REFLEX cameras (also called digital SLR or DSLR) are digital cameras combining the optics and the mechanisms of a single-lens reflex camera with a digital imaging sensor, as opposed to photographic film. The reflex design scheme is the primary difference between a DSLR and other digital cameras. In the reflex design, light travels through the lens, then to a mirror that alternates to send the image to either the viewfinder or the image sensor. The alternative would be to have a viewfinder with its own lens, hence the term "single lens" for this design. By using only one lens, the viewfinder presents an image that will differ imperceptibly from what is captured by the camera's sensor. A RANGEFINDER CAMERA is a camera fitted with a rangefinder: a range-finding focusing mechanism allowing the photographer to measure the subject distance and take photographs that are in sharp focus. Most varieties of rangefinder show two images of the same subject, one of which moves when a calibrated wheel is turned; when the two images coincide and fuse into one, the distance can be read off the wheel. 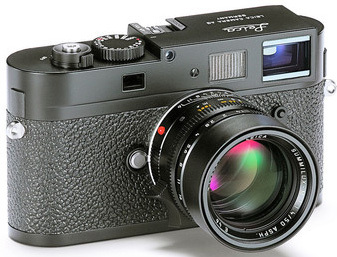 Older, non-coupled rangefinder cameras display the focusing distance and require the photographer to transfer the value to the lens focus ring; cameras without built-in rangefinders could have an external rangefinder fitted into the accessory shoe. Earlier cameras of this type had separate viewfinder and rangefinder windows; later the rangefinder was incorporated into the viewfinder. More modern designs have rangefinders coupled to the focusing mechanism, so that the lens is focused correctly when the rangefinder images fuse; compare with the focusing screen in non-autofocus SLRs. 3 days with Canon’s EOS R full-frame mirrorless camera - "Yay to the handling and lenses, boo to the cropped video and lack of stabilization." 50 Millimeter Lens Is The Only One You Need - Wired. 2018: How to buy a camera - engadget. 2019 guide to cameras & photography! - "The best cameras, lenses and accessories, and how to make the most of them." Barber Shop - "Barber Shop Bags is a tailored cut collection of photographic bags and accessories. Uniquely handcrafted for the photographer's needs. You are in good hands." 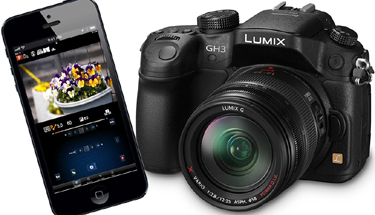 Best apps for amateur photographers - The Telegraph. best DSLR cameras you can buy 2018: from beginners to pros - The Telegraph. 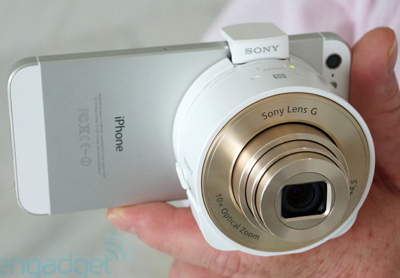 best point-and-shoot camera - engadget. Boothnation - "Since 2006, Boothnation photobooths have become a must-have at celebrity parties, awards nights, product launches and weddings." A full-on fashion shoot in a box, all the glamorous aspects without the inconvenience of a photographer. Bridge CAMERA - are cameras which fill the niche between the single-lens reflex cameras (SLRs) and the point-and-shoot camera. CANON & NIKON ARE OFF TO A STRONG START WITH THEIR FIRST FULL-FRAME MIRRORLESS CAMERAS - "The EOS R, Z6, and Z7 are already putting up a good fight against Sony." CANON POWERSHOT G7 X MARK II review - "Pocketable and powerful, this compact Canon is mightier than it may seem." DC VIEWS - "Digital Camera Reviews, News & Digital Photography Tips." Digital single-lens reflex camera - Wikipedia. 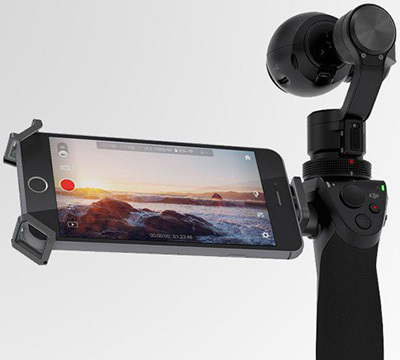 DJI built a one-handed stabilizer for your camera - engadget. DP REVIEW - "Digital Photography Review." The #1 camera news site. Period. DRONIE - definition & explanation. Edelkrone - "In years of hard work, we have re-approached to every single component of a classic DSLR rig system and introduced several innovative ideas that will change the standards for the industry forever." FLICKR - "The best online image and video hosting management and sharing application in the world." In August 2011 the site reported that it was hosting more than 6 billion images. FLICKR: CAMERA FINDER - most popular cameras in the Flickr community. Freemake Video Converter - freeware software application for video conversion. The program can be used to convert between video formats, rip DVDs, burn DVDs and Blu-ray Discs, create photo slideshows and music visualizations, and upload files to YouTube. Freemake Video Converter can import the majority of video, audio, and image formats, and outputs to AVI, MP4, WMV, Matroska, FLV, SWF, 3GP, DVD, Blu-ray, MPEG, and MP3. The program also prepares videos supported by various multimedia devices, including Apple devices (iPod, iPhone, iPad), Xbox, Sony PlayStation, and Samsung, Nokia, BlackBerry, and Android mobile devices. The software is able to perform DVD burning and is able to convert videos, photographs, and music into DVD video. Freemake Video Converter allows for simple video editing tasks, such as cutting, rotating, flipping, and combining multiple videos into one file and can also create photo slideshows with background music. Users are then able to upload these videos to YouTube. Gandolfi - founded in 1885. British manufacturer based in London, a company which have made large format cameras in the traditional style using wood and brass for many years. Gray card - a gray card is a middle gray reference, typically used together with a reflective light meter, as a way to produce consistent image exposure and/or color in film and photography. Hasselblad's 400-megapixel camera does have a purpose - engadget. HOW TO BUILD A CAMERA KIT FOR ADVENTURE PHOTOGRAPHY - "Everything you’ll need when you hit the trails for the ‘gram." How to Choose a Camera - A Comprehensive Guide - Jen Reviews. How to pick a lens for your mirrorless camera or DSLR - "You've got a fancy new camera - now comes the hard part." IMAGE HOSTING & PHOTO SHARING FREE SERVICES - T.I.M. IMGUR - "The simple image sharer." Online image hosting service. Allows users to create custom image galleries and manage their images. Users can also sign in with Twitter, Google, Facebook, and Yahoo accounts. Insta360 One is a 4K 360 camera with smart tricks - engadget. INSTAGRAM - free photo sharing program launched in October 2010 that allows users to take a photo, apply a digital filter to it, and then share it on a variety of social networking services, including Instagram's own. Kodak’s reborn Super 8 film camera - engadget. 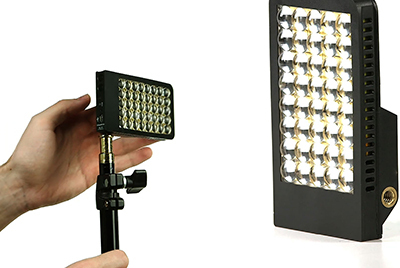 KICK PHOTO & VIDEO LIGHT - Rift Labs KICK Pocket Sized Lighting Studio for Photo/Video. Kodak Moment - a sentimental or charming moment worthy of capturing in a photograph. Leica - SD card & credit card holders. Leica CL review - Wired. 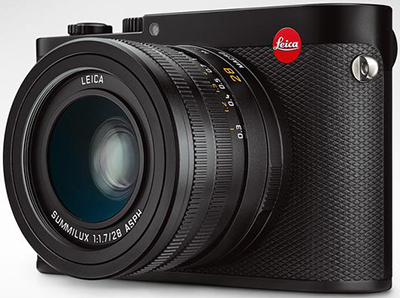 Leica Debuts Its New M10 Camera - Wired. 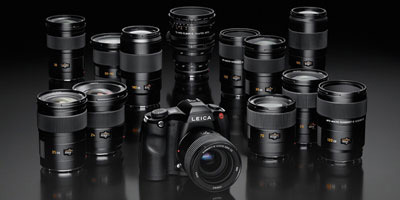 Leica News & Rumors - "Leica news, before it happens." 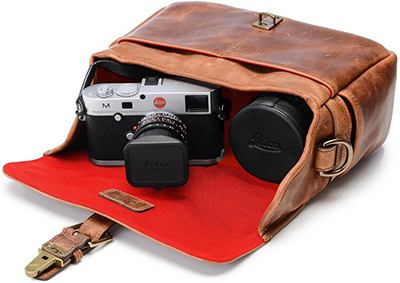 Leica ONA Bowery Camera Bag - "Antique Cognac, Leica Edition." Leica's CL gives iconic design the tech it deserves - engadget. LEICA'S Q CAMERA IS A NO-COMPROMISE TECHNOLOGICAL WONDER - "You just have to pay $4,250 for the privilege." Lily - "The Camera That Follows You." First 'throw-and-shoot' camera. Throw this camera drone in the air and it flies itself. List of digital camera brands - Wikipedia. List of photographic equipment makers - Wikipedia. LUXI - "Turns Your iPhone Into a Light Meter." Mont Blanc panorama becomes the world’s largest ever photograph - an international team led by photographer Filippo Blengin publishes an enormous 365 gigapixel panoramic photograph of Europe’s highest mountain setting a new record for the world's largest photo. Nikon’s new D850 has 45.7 megapixels & enough features to tempt Canon shooters - The Verge. Peak Design - "Gear For Creative, Adventurous People." Award-winning bags, camera accessories, GoPro mounts and other gear that helps you follow your passions. Free, fast shipping on most orders. PHOTOSYNTH - takes your photos, mashes them together and recreates a 3D scene out of them that anyone can view and move around in. Pulse Camera Remote - "Stills. Video. Timelapse. The ultimate camera remote." 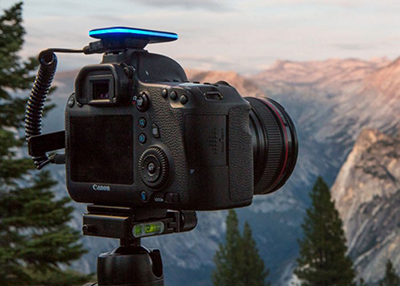 Pulse gives you powerful control over your camera - wirelessly from your smartphone. It plugs straight into your DSLR or Mirrorless camera's USB port, so whether you're shooting photos, time lapse, or video, you get complete creative freedom in real time. RAPIDSHARE - founded in 2002. "Your Pictures, Videos, Documents & Music..." One-click hosting service that offers both free and commercial services. RapidShare is one of the world's largest file-hosting sites, with 10 petabytes of files on its servers, and handling up to three million users simultaneously. 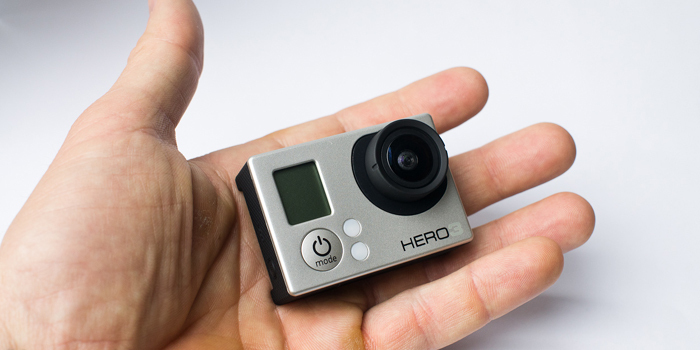 RICOH THETA V spherical camera review - Wired. SCALADO PHOTOBEAMER - "View your photos on any screen, anywhere." 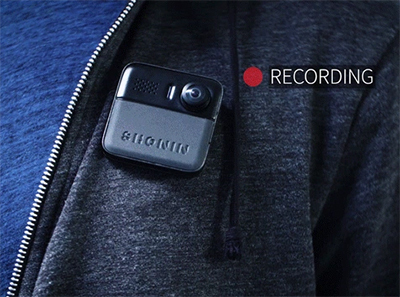 Shonin Streamcam Wearable Camera - "Capture YOUR side of the story." Simplifies personal security. It'll broadcast directly to Facebook Live & YouTube. SINGLE-LENS REFLEX CAMERA - Wikipedia. SNAPSEED - "Snap it. Tweak it. Love it. Share it." Sony World Photography Awards - organized by the World Photography Organisation. The competition has three entry levels; Student, Open and Professional, each with a number of subcategories. 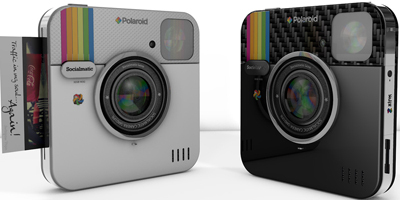 The camera that changed photography forever - "Polaroid: How a square-shaped nostalgia symbol paved the way for social media." The Online Photographer - daily news website for photo enthusiasts. THE TRI-X FACTOR - The Economist Intelligent Life. VINE (TWIITER) - mobile app by Twitter that enables its users to create and post short video clips. Video clips created with Vine have a maximum length of six seconds and can be shared on a variety of social networking services, such as Twitter or Facebook. WTF is that? - This bot tells you what's in your photos. It works a bit like Shazam for pictures: Send it a picture and it (sort of) tells you what it is. 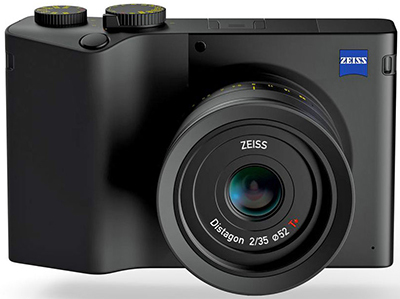 Zeiss' first digital camera is the ZX1 full-frame compact - "It has built-in Adobe Photoshop Lightroom CC capability." 4GB SPY VIDEO CAMERA WATCH W | HIDDEN CAMERA V2 - from BUDGETGADGETS.COM. 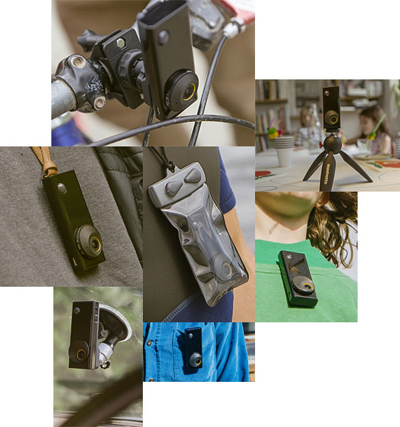 360cam - from Giroptics 360² Experts. "Up. Down. All Around. 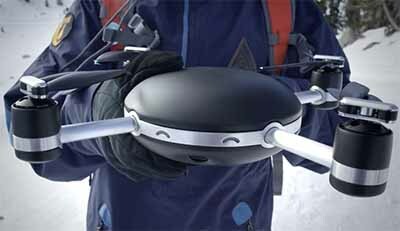 The World's First Full HD 360² Camera." 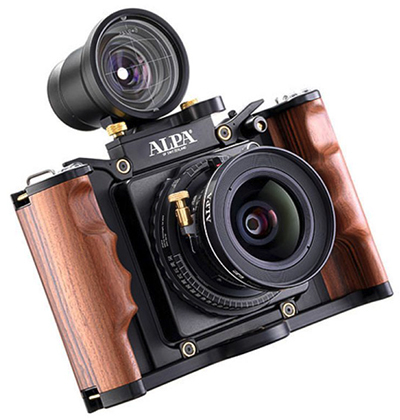 ALPA - was formerly a Swiss camera design company and manufacturer of 35 mm SLR cameras. The current owners bought the company name after bankruptcy of the original company and the company exists today as a designer and manufacturer of high-end medium-format cameras. ALPA of Switzerland - since 1946. "Manufacturers of remarkable cameras." ALTEK Cubic - "Perfect for Selfies." Autographer 136° Wide-angle Intelligent Hands-free 8GB Wearable Lifestyle Camera with 5 built-in Sensors and GPS - Amazon.com. CANON DIGITAL COMPACT CAMERAS - all models. CANON DIGITAL IXUS 200 IS DIGITAL CAMERA - 12.1 megapixels. CANON DIGITAL IXUS 300 HS - 10 Megapixel high-sensitivity CMOS sensor with f/2.0 lens. CANON DIGITAL IXUS 980 IS DIGITAL CAMERA - 14.7 megapixels. 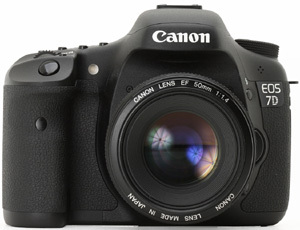 CANON DIGITAL SLR CAMERAS - all models. 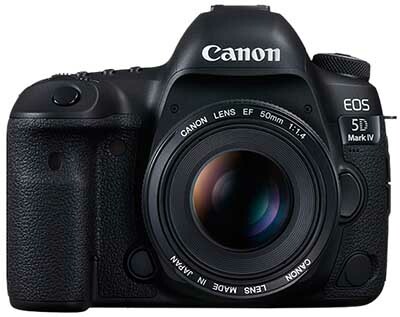 CANON EOS DIGITAL SLR CAMERAS - all models. 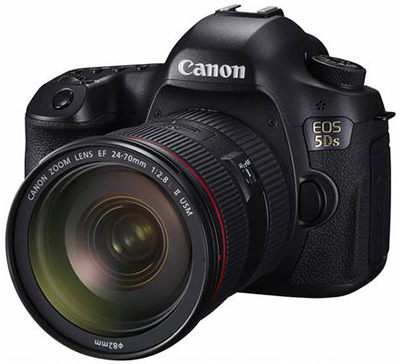 CANON EOS 5D MARK II DIGITAL SLR CAMERA - 21.1 megapixel full frame CMOS sensor. Outstanding resolution with up to 3.9 fps shooting and superlative high ISO performance. The addition of Full HD movie recording expands the boundaries of photography. CANON EOS 5D MARK III DIGITAL SLR CAMERA - full-frame 22.3 megapixel DSLR with 61-point autofocus and 6fps continuous shooting. Capture high-quality Full HD movies, with manual control over everything from frame rate to audio. CANON EOS 5D Mark IV - "Superb image quality is achieved with Canon's all-new 30.4 Megapixel full-frame sensor, and highly-detailed 4K video is captured with ease. Focus accuracy has been improved with a refined 61-point AF system and Canon's revolutionary Dual Pixel CMOS AF for quick, smooth AF for both video and Live View shooting. Fast operation is enhanced with Canon's DIGIC 6+ Image Processor, which provides continuous shooting at up to 7.0 fps. Built-in Wi-Fi, GPS and an easy-to-navigate touch-panel LCD allow the camera to become an extension of you." CANON EOS 5DS - "Marking a new standard in high-resolution digital SLR photography, the Canon EOS 5DS camera shatters the status quo with a new 50.6 Megapixel, full-frame CMOS sensor. Perfect for commercial and fine art photography, or any other application that calls for extremely high-resolution." CANON EOS 7D - for serious photographers and semi-professionals, the EOS 7D features an all-new 18.0 Megapixel APS-C size CMOS sensor and Dual DIGIC 4 Image Processors, capturing tremendous images at up to ISO 12800 and speeds of up to 8 fps. Canon PowerShot N White - 12.1-megapixel high sensitivity CMOS sensor and DIGIC 5 image processor provides crisp photographic results with 1080p full HD video capture in a compact body format, while in addition, a 2.8-inch tilt-touch panel LCD. CANON POWERSHOT S90 - with a lens Control Ring and superior low-light performance with a high-sensitivity 10.0 MP CCD and f/2.0 lens. FlexCam - using thin-film flexible OLED color prints as a camera. FUJIFILM - all digital models. FUJIFILM FINEPIX REAL 3D W1 - world's first 3-D digital camera. 10.0 megapixels. 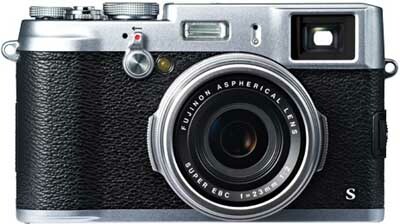 FUJIFILM FINEPIX X100 - 12.3 megapixels. Hybrid viewfinder. "A Perfected Fusion of Optical and Electronic Viewfinder." FUJIFILM X100S - 16 megapixels. Single Focal Length Lens. LCD monitor: 2.8-inch. ISO25600. GoPro - "The World's Most Versatile Camera." All models. GoPro’s New Cameras (Hero5 Black & Session) Review - Wired. 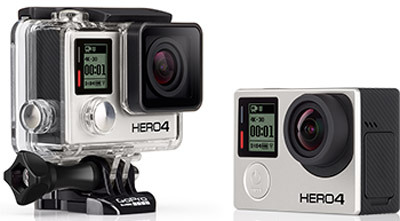 GoPro HERO 4 Cameras - "The most advanced GoPros yet." HASSELBLAD - founded in 1841. All products. HASSELBLAD H SYSTEM - provide peak performance for both film and digital capture. 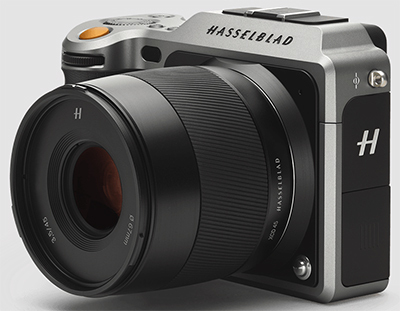 HASSELBLAD H4D-200MS - "The Hasselblad H4D-200MS’s amazing 200 million-pixel resolution brings unprecedented detail and resolution to your still life and studio photography." HASSELBLAD H4D-60 - 60 Megapixels. 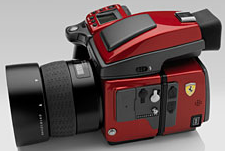 HASSELBLAD H4D FERRARI LIMITED EDITION - 499 units produced. 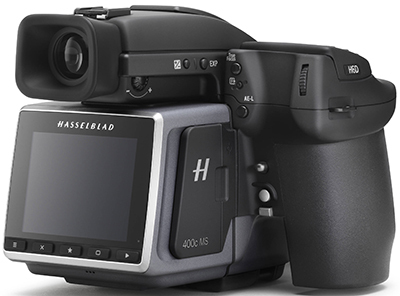 HASSELBLAD H6D-400c MS - "The highest resolution and most colour accurate medium format images available." 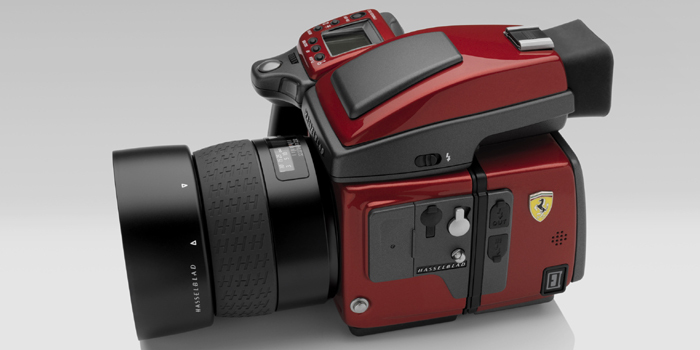 HASSELBLAD LUNAR - "Italian Design - Swedish Tradition." HASSELBLAD V SYSTEM - ideal for photographers who demand ultimate reliability and control. Hasselblad X1D - "Create to Inspire." Handmade in Sweden. Kodak Ektra - "A Classic is born. Again." LEICA - founded in 1913. "The culture of the picture." All models. Leica’s New Digital Rangefinder Has No LCD Screen, Still Costs US$6K - Wired. LEICA RUMORS - "Leica news, before it happens." 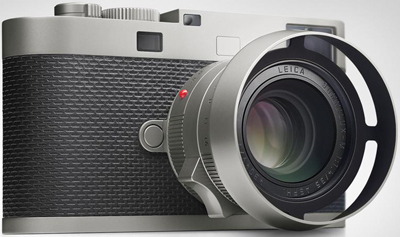 Leica's new limited-edition Titanium Set - The Telegraph. LEICA CL - "Oskar's Legacy." The new Leica CL is the deliberate transfer of traditional values from patience, persistence and craftsmanship into the fast and modern world we live in. A companion. So compact and discrete that it fits in every hand and finds a place in every heart. LEICA COMPACT CAMERAS - all models. "How many times a day do you wish you had your camera?" LEICA D-LUX 4 - titanium digital camera with 10.1 megapixels. LEICA D-LUX 5 TITANIUM - "The special limited edition for connoisseurs of excellent design." Leica M Edition 60 - "The essence of photography. An homage to the art of photography." Created to celebrate the M system's 60th anniversary. Only 600 have been made, and each is numbered between 001 and 600. 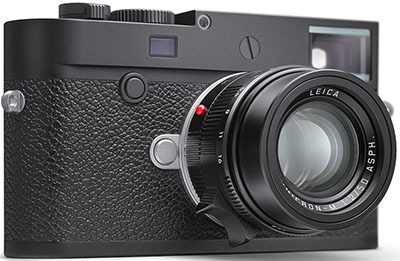 LEICA M SPECIAL-EDITION MODELS - exclusive special editions for photographers and collectors. LEICA M-SYSTEM - all models. "The consequence of an action." LEICA M7 - the modern classic. LEICA M7 HERMÈS - limited edition: 100 cameras. US$14,000. LEICA M9-P - "A new dimension in digital photography." The world's first digital camera system camera of its size to be built with a full-frame sensor. (18 megapixel). 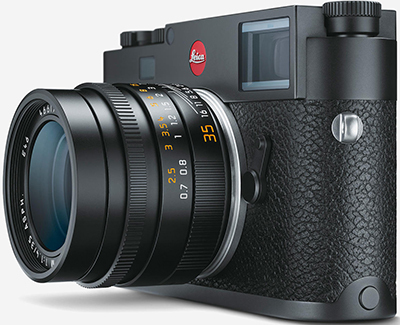 LEICA M9 NEIMAN MARCUS EDITION - limited to a worldwide edition of just 50. 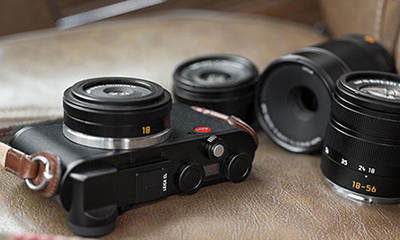 Combines the classic Leica M shooting experience with the latest digital technology. It also is the world's only digital rangefinder camera with interchangeable lenses and a full-frame 18 megapixel sensor to capture ultrahigh resolution images. Price: US$17,500. 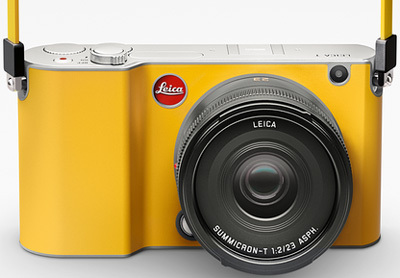 LEICA M9 "TITANIUM" - special edition: limited to 500 cameras. Design: Walter de'Silva. New features include the LED illumination of the bright-line frames in the viewfinder. Price: US$33,000. LEICA M10 - "The Camera." More than 60 years of rangefinder expertise, 11 years of digital M-Camera development and invaluable feedback from dedicated M-Photographers have inspired Leica engineers to create the slimmest digital M of all time: the Leica M10. Leica M10-P - "Go unnoticed in the street. The quietest shutter of any M Camera ever." The Leica M10-P takes the traditional understatement of the M series to a new level. Connoisseurs will appreciate the fine distinctions between the M10-P and the M10. These include the quietest shutter of any M camera ever - a seemingly minor detail that can nevertheless make the difference between a good picture, and a great one. The prominent red dot on the front of the camera, masked with tape by many pro photographers for added stealth, has been omitted. 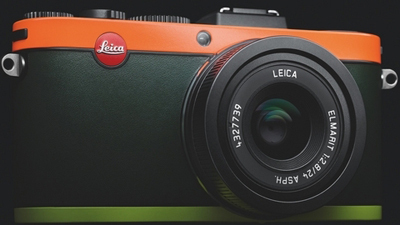 Instead the camera features unobtrusive Leica lettering on the top plate. In terms of construction and materials, the M10-P naturally meets the same superior standards as its sister models – making it an ideal choice for photographers with an eye for the extraordinary. LEICA Q - "Full-frame sensor, fixed focal length, unlimited creativity." LEICA R-SYSTEM - no longer in production, the LEICA R9 reflex camera, along with its high performance lenses is a precision system with 26 fine lenses. 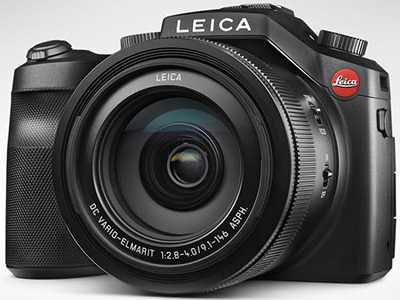 LEICA S-SYSTEM - "Innovative digital technology and the heart of a classic." LEICA SL - "A vision of the future." 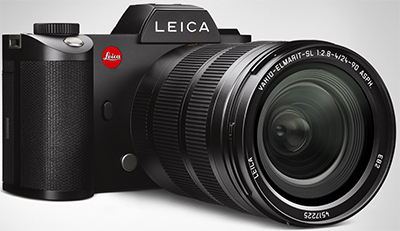 The Leica SL-System marks the beginning of a new era of professional photography. 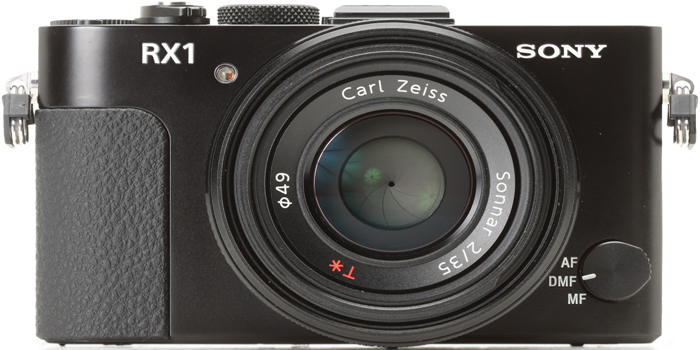 As the first mirrorless system camera of its kind, it offers an impressive range of innovative features and sets entirely new standards with regard to versatility and handling – and rugged resilience. 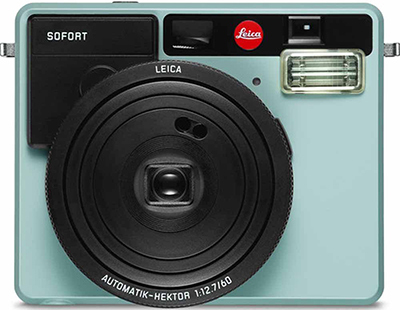 Leica Sofort Instant Camera - "Frame those special moments." The first instant camera from Leica. The Leica Sofort has a programme suitable for every occasion. Just pick the one you need, concentrate on your subject and let the Leica Sofort take care of everything else. But if you prefer to take control of the focusing distance, flash and exposure compensation yourself, your Leica Sofort lets you do just that – whenever you like. LEICA T-SYSTEM - "About the essence." LEICA V-LUX - "The Swiss Army Knife of cameras." LEICA X1 - "As spontaneous as life itself." High-performance digital camera in a compact design for high-class photography. LEICA X2 - limited edition Paul Smith for Leica X2 camera. 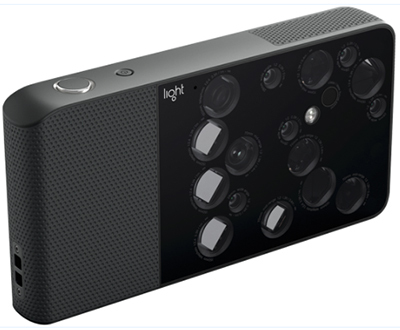 Light L16 - "This compact camera captures the details of your scene at multiple focal lengths, then uses sophisticated algorithms to combine 10+ images into a single, high-resolution photo." LINHOF - professional large format camera systems. LOMOGRAPHY - global community whose strong passion is creative and experimental analogue film photography. 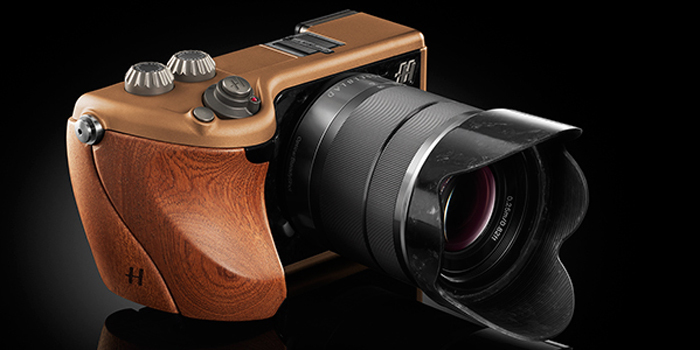 LOMO LC-A+GOLD - limited edition (130 pieces) gilded in 24-carat gold and wrapped in the finest brown leather. DMC-CM1 New Generation Camera - high-speed camera & smartphone hybrid with 1-inch high sensitivity sensor. 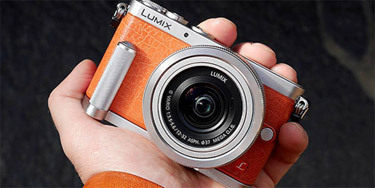 LUMIX DMC-FH22 - 8x optical zoom, 14.1 mega pixels. LUMIX DMC-GH1 - 12.1 megapixel digital camera. Named American Photo's Camera of the Year. LUMIX DMC-GH3 - 16.05-megapixel Live MOS Sensor. Built-in WiFi for Smartphone or Tablet Linking. 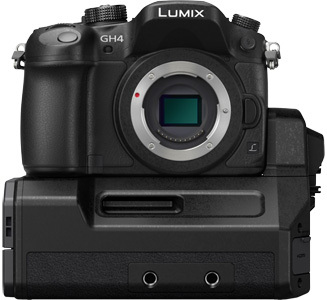 LUMIX DMC-GH4 - "Pro Photo Performance with a 4K Cinematic Experience." Professional photo performance with exceptional moiré suppression. 4K 24p cinematic video (4096×2160), plus 4K 3840×2160 30p/24p. High speed 49 area auto focusing in photo or video, perfect for hybrid photography. Durable magnesium alloy body and exceptional shutter life meets the demands of professional use. LUMIX DMC-GM1 - "The DMC-GM1 boasts not just its outstandingly compact profile but its high functional performance for ultimate picture quality. The large 16.00-megapixel Digital Live MOS Sensor achieves both high resolution and high sensitivity image recording with less noise. Also built-in WiFi." LUMIX DMC-GX1 - 16.0 megapixel digital camera. 2012 TIPA awarded. LUMIX DMC-GX7 - 16.0 megapixels DSLM camera with tilt-live viewfinder. 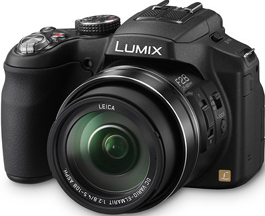 LUMIX DMC-ZS10 / TZ20 - 14.1 megapixels, 16x optical zoom, Leica lens - great for traveling. LUMIX FZ200 - the DMC-FZ200 features a high-quality LEICA DC VARIO-ELMARIT 25mm ultra wide-angle lens with a 24x optical zoom (35mm camera equivalent: 25-600mm) that achieves full range F2.8. 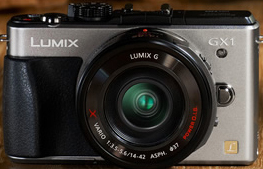 LUMIX G2 - system camera with touch-control shooting. 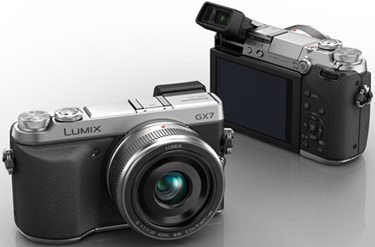 LUMIX G MICRO SYSTEM - new Generation system cameras. All models. LUMIX GF1 - highly recommended! 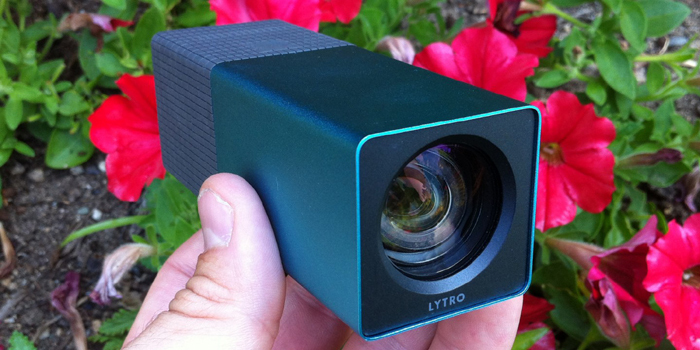 LYTRO - "A new type of camera that dramatically changes photography for the first time since the 1800s," according to TechCrunch. 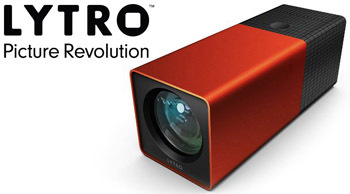 LYTRO - PICTURE REVOLUTION - YouTube. MINOX DSC DIGITAL SPYCAM - "License to Shoot." Seeing this camera makes people immediately think of Bond, James Bond, and not without good reason. The DSC is small, really small. It’s so tiny it disappears in a clenched fist. Just 86 x 29 x 20 mm. 5.1 megapixel CMOS Sensor. NIKON - "At the heart of the image." NIKON 1 Cameras - all models. Nikon 1 J3 - "Ignite Your Creativity." 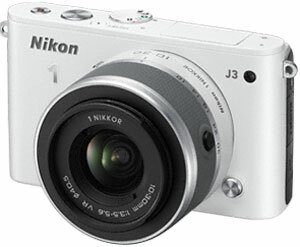 NIKON COMPACT DIGITAL CAMERAS - all models. 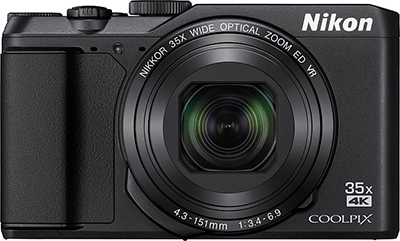 Nikon COOLPIX A900 - "Pocket-friendly Travel Companion." With 35x optical zoom and 70x Dynamic Fine Zoom and 20.3 effective megapixels delivered with a backside-illumination CMOS sensor and high-performance NIKKOR lens. 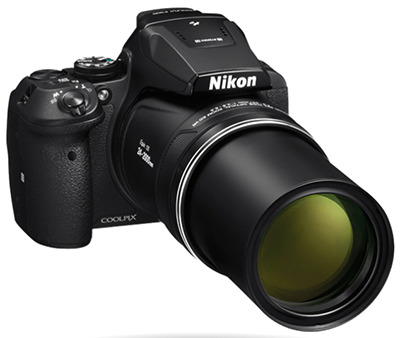 Nikon COOLPIX P900 - 16 mp low-light CMOS Sensor. 83× optical zoom/166× Dynamic Fine Zoom super telephoto NIKKOR lens. 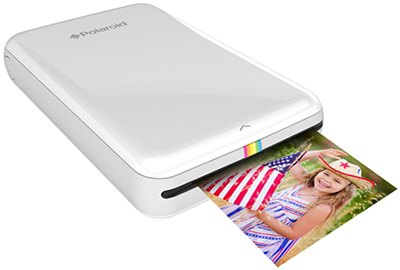 Built-in Wi-Fi and NFC (Near Field Communication technology) for wirelessly sharing photos to a compatible smartphone or tablet. Built-in GPS, full manual control, creative effects and more. 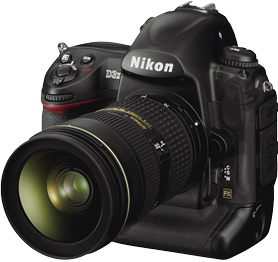 NIKON D3S - Nikon FX-format digital SLR flagship for fast response and high light sensitivity. NIKON D3X - digital masterpiece. Flagship 24.5-megapixel FX-format D-SLR—meticulously engineered for professionals whose work demands extreme resolution, file size and image fidelity. 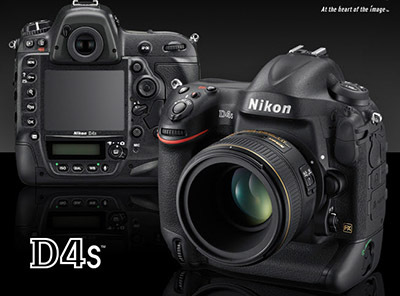 NIKON D4S - "The Speed to Succeed. Own the Decisive Moment." The new flagship Nikon D4S HDSLR camera pushes boundaries in ISO range, to a staggering 409600 along with 16.2MP in resolution, pro video features, and much more. Nikon D7200 - "For the first time, the exhilarating image quality, low-light capabilities and speed of a Nikon DSLR are available with the convenience of built-in Wi-Fi and Near Field Communication (NFC). Introducing the D7200, the new star of Nikon's DX-format line-up." 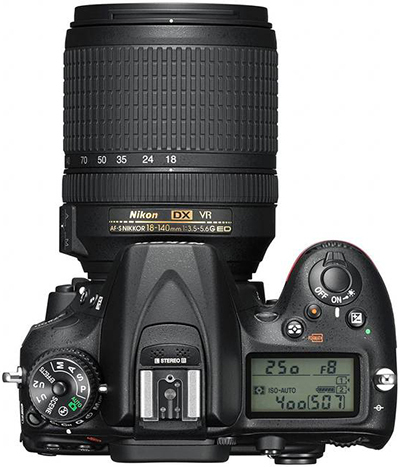 NIKON DIGITAL SLR CAMERAS - all models. NIKON F6 - film camera. OLYMPUS - "Powerfully Simple." All digital cameras. 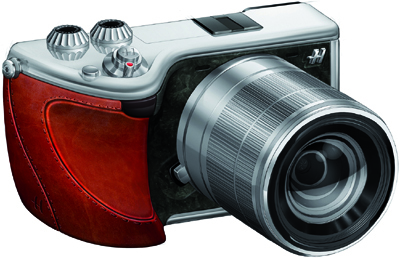 OLYMPUS PEN - new generation system cameras. OLYMPUS PEN E-P3 - "Designed for photographers who want total control over their creative vision with a camera portable enough to travel the world, the powerful Olympus PEN E-P3 delivers professional image quality, the world’s fastest auto focus, built-in creative features, and a new OLED touch screen in a classic, all-metal body with fully advanced controls." PANASONIC - "ideas for life." PENTAX K-5 - 16.3 megapixel CMOS, ISO 80-51200, 7 FPS, 1080p HD video at 25 FPS. RAYTRIX - "one camera - one lens - one shot". 3D camera solutions. 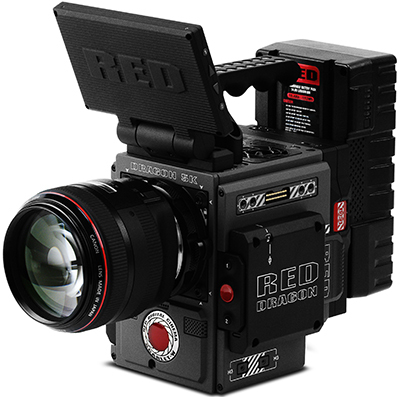 RED - "The idea behind the RED camera system is simple. Design and build a high performance digital cine camera with the quality of 35mm film and convenience of pure digital. RED delivers unmatched image quality with no recording system limitations." RED hydrogen - ""The World's First Holographic Media Machine. In Your Pocket. No Glasses Needed." RED One Scarlet-W - "RED's innovative modular design brings maximum flexibility to every professional, providing adaptability in every situation you encounter." SAMSUNG IMAGING - "Create Your Moment." All models. SAMSUNG DV300F - "Instantly share stunning photos of you with 2View & Wi-Fi." Samsung Galaxy Camera - 16.3 megapixels Android 4.1 Jelly Bean OS Camera & WiFi 3G HSPA. SAMSUNG NX10 - 14.6 megapixels. 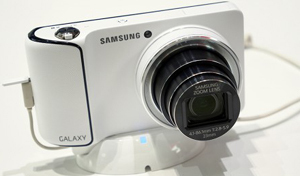 SAMSUNG WB650 - 24mm ultra-wide angle lens and 15x Super-zoom, built-in GPS map-viewer and 12 megapixels. SCHNEIDER-KREUZNACH - manufacturer of industrial and photographic optics. Price-no-object high quality lenses. 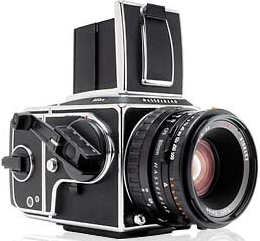 SINAR PHOTOGRAPHY - producing innovative medium format and large format cameras. SONY DIGITAL CAMERAS - "make.believe." SONY 3D BLOGGIE HD CAMERA - up to 4 hours of 2D HD video, 5-megapixel still image recording capability, 3D viewing on 2.4" LCD (no need for 3D glasses), 1920 x 1080p MP4 HD video, flip-out USB arm. 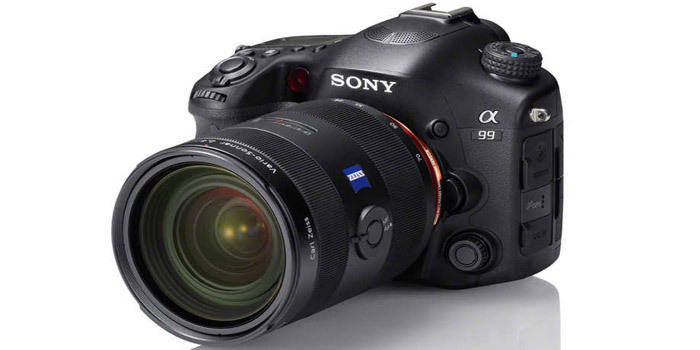 SONY A900 DSLR - This flagship Sony a DSLR raises the bar with impressive features including 24.6-megapixel resolution.24.6. Sony a5100 - "Art at the speed of thought." Elevate your photography with phenomenal focus. A Fast Hybrid AF system with 179 points - plus intuitive touch focus - give your shots professional polish. 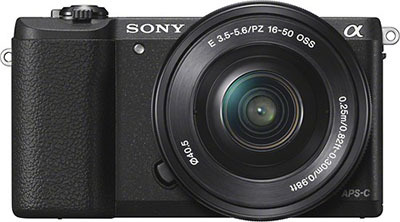 Sony a6000 - mirrorless interchangeable lens camera, successor to the old NEX 6 (the NEX name having been dropped). 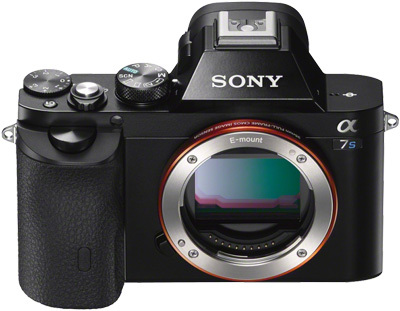 Sony Alpha a7S - Full Frame Mirrorless Camera. 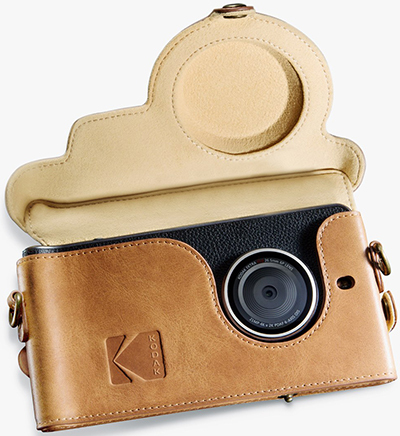 The world’s smallest full frame interchangeable lens camera. Images and video come alive with a breakthrough 15.3 stops of dynamic range. ISO sensitivity up to 409,600 reveals astonishing detail and color even in the dead of night. Video excels with Full Pixel Readout, a 4K-optimized sensor and uncompressed 4K output via HDMI. 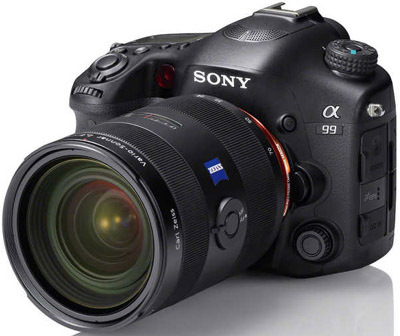 Sony Alpha a99 Full-Frame DSLR Camera - 24.3MP 35mm full-frame sensor, 14-bit RAW output, uncompressed Full 1080 HDMI output in 60p/60i, up to 25600 ISO, Dual AF, continuous AF in all modes, up to 10 fps in Tele-zoom mode, 3" tiltable LCD. 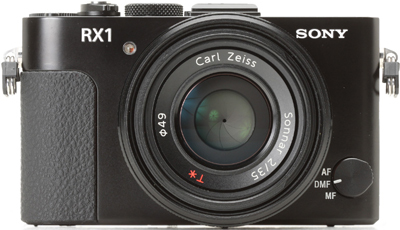 SONY Cyber-shot RX1 - 35mm full-frame 24.3 megapixels Exmor CMOS sensor, ISO 100-25600, 14-bit RAW image capture, f/2.0 Carl Zeiss Sonnar T lens with 9 aperture blades, P/A/S/M modes, Full HD 24p/60i/60p video with manual control. 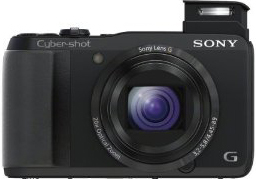 SONY Cyber-shot RX100 II - 20.2 megapixels cyber-shot digital camera. 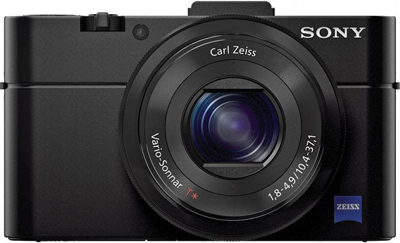 SONY DSC-HX20V - 18.2 megapixels Exmor R CMOS Digital Camera with 20x Optical Zoom and 3.0-inch LCD (Black). 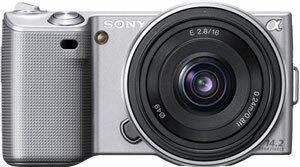 SONY NEX-5 - pocket professional camera with 16mm lens. 14.2-megapixel, up to 7 fps shooting, ISO 12800 sensitivity, AVCHD 1080/60i HD movies, APS-C size HD image sensor, Sweep Panorama, Auto HDR, Live View, Tiltable LCD, E-mount 16mm lens. Zeiss ZX1 - "Stay in your flow." A camera designed to give you an absolutely seamless experience: from shooting and editing, to publishing and backing up.